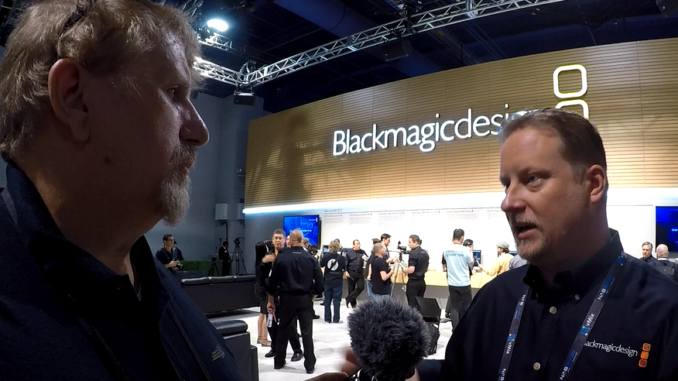 Day one of NAB 2019 has come and gone, and there has been a lot to see here in Las Vegas. So much that I have to pace myself! Luckily, we’re here for the long haul and there will be plenty to talk about until Thursday. Blackmagic got things off to a start and you can read all about that here. But we also have news from Pond5, FiLMiC Pro and SmallHD. 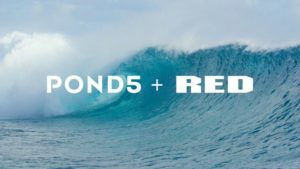 POND5 already announced their huge announcements of a partnership with RED, DJI and their new Exclusivity program. First, the Shot on RED function, which is available when searching. If you want footage that has been exclusively shot with RED cameras, you simply press a single button and it filters out all other results. That’s a nice feature and POND5 is making it really easy to find the RED footage you need. Next came their deal with DJI, which gives users over a million different video clips that have been shot with drones made by DJI. This couldn’t be more important these days, considering more and more communities, states and countries are making it more difficult to fly drones and get aerial footage. And while the FAA is taking important steps to make sure that professional commercial drone pilots are trained and operating within FAA rules, that isn’t a get out of jail free card for state and local communities who may have more onerous laws pertaining to operating drones in their airspace. Having footage you can grab from a professional DJI drone pilot eliminates all that hassle. 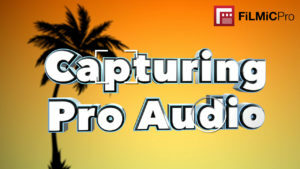 FiLMiC Pro is making news this week with the introduction of FiLMiC Audio, a new stand alone professional grade audio recording app that will do for laying down audio recordings with the same high fidelity and professional tools that made FiLMiC Pro so popular with mobile filmmakers. 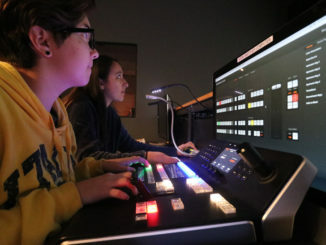 With FiLMiC Audio, users will be able to use a secondary iOS device to act as a field recorder and microphone, and then connect wirelessly to your other device that is running FiLMiC Pro for video and sync up the remote audio track with your video clip. This transforms that old iPhone, that’s been gathering dust since you upgraded to the iPhone XS, into a powerful wireless microphone and field recorder. Auto-sync with FiLMiC Pro wirelessly, replacing the audio track with the FiLMiC Audio track with a singe tap. BRILLIANT. I can’t wait to get my hands on it when it launches later this year! I’ll have an interview with the FiLMiC Boys shortly, so stay tuned for more details. Lastly, we have SMALLHD, which announced a new 7″ Cine 7 pro grade monitor which works with Teradek’s wireless devices to provide remote camera control directly from the Cine 7 monitor. It works with a video overlay that provides controls that can make adjustments to any ARRI ALEXA Mini, AMIRA and MINI LF cameras, and support for RED and SONY cameras will be coming later this year. 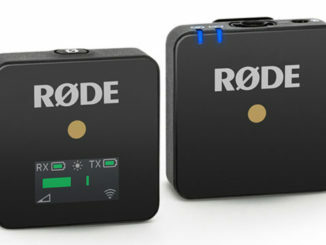 It works through the wireless video transission that comes from Teradek Bolt technology, and is ideal for working remotely, whether on steadicam, Car mounted cameras, a camera car, drone or other specialty rigging. And it’s super bright at 1300 nits. It looks to mine the same technology and overlay setup that SmallHD recently announced for grabbing Lens Metadata, only expands it to camera control. And I like that. The Cine7 Base model is $1799 and will ship later this month. That’s it for day one! Day two is about to begin and I have to hit the showroom floor. Stay tuned for more here at doddleNEWS, on Twitter at @doddleme, and check out my daily news wrap up on the Digital Production Buzz live coverage at 5PM! Listen at http://www.digitalproductionbuzz.com.